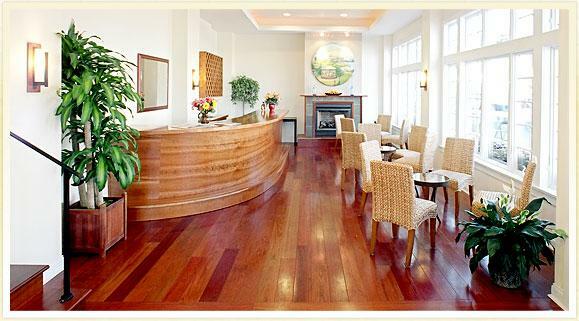 In the heart of the historic seaside Village of Greenport on Long Island’s North Fork, the Harborfront Inn epitomizes understated luxury and comfort. Designed as a retreat for discerning guests who wish to immerse themselves in the unique rural culture of the North Fork while enjoying the finest of amenities, the Harborfront Inn offers the best of all worlds. Perfect for a weekend escape or a week’s vacation, the Harborfront Inn is within easy walking distance of fine dining, shopping and historic attractions. World-class wineries, ferries to Connecticut and The Hamptons, and the Tanger Outlet in Riverhead (with over 165 brand-name stores) are only a short drive away. At the Harborfront, guests can get away from it all and still be in the middle of everything.